Explanation: Let ABC be a triangle and let DEF be its medial triangle. Thus AD=DB, BF=FC, and AE=EC. Draw altitudes from D to side EF (line l), E to side DF (line n), and F to side DE (line m). Thus these lines l, m, and n act as perpendicular bisectors. Since they are perp. bisectors, they form a circumcenter of triangle ABC at point G. Whenceforth, since a circumcenter is formed and that the perp. bi. 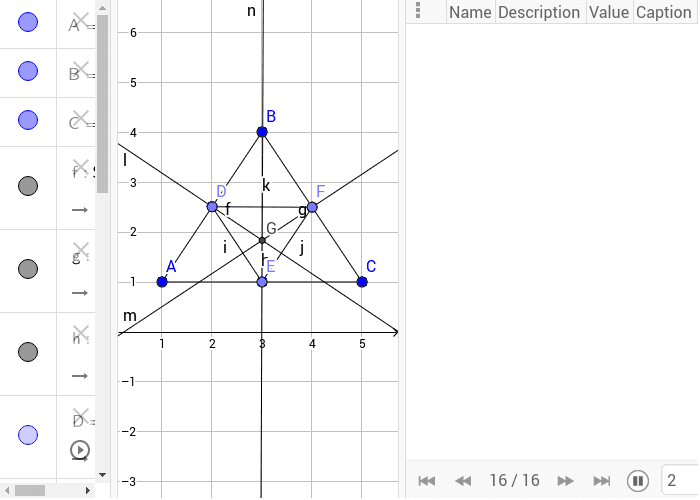 must intersect then the altitudes of a triangle must also intersect because the altitudes of the medial triangle DEF = the perp. bi of triangle ABC. Therefore, the altitudes of a triangle intersect to form what is known as the orthocenter.